They did it again. 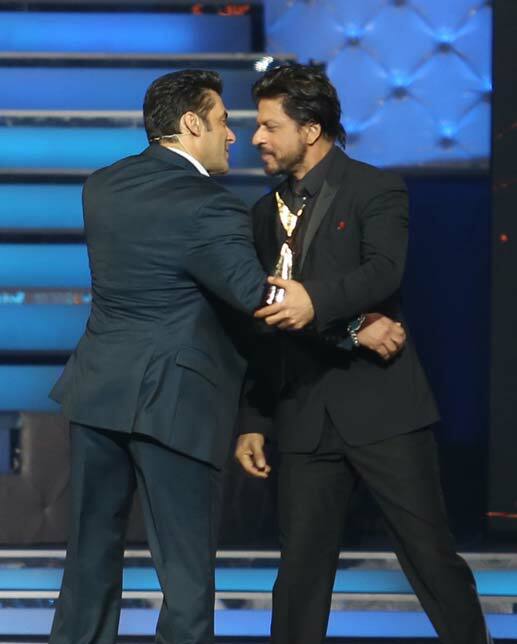 Badshah of Bollywood Shah Rukh Khan and Bad Boy Salman Khan hugged each other once again at the recent Renault Star Guild Awards that took place yesterday in Mumbai. The ceremony saw some deserving winners walk away with trophies – director Rakeysh Om Prakash Mehra and Actor Farhan Akhtar for Bhaag Milka Bhaag and Deepika Padukone for Chennai Express. All eyes were on the Khans when the two walked up to the stage and hugged each other, after exchanging short notes. This is the second time this had happened, the first time being at the Iftaar Party not so long ago. 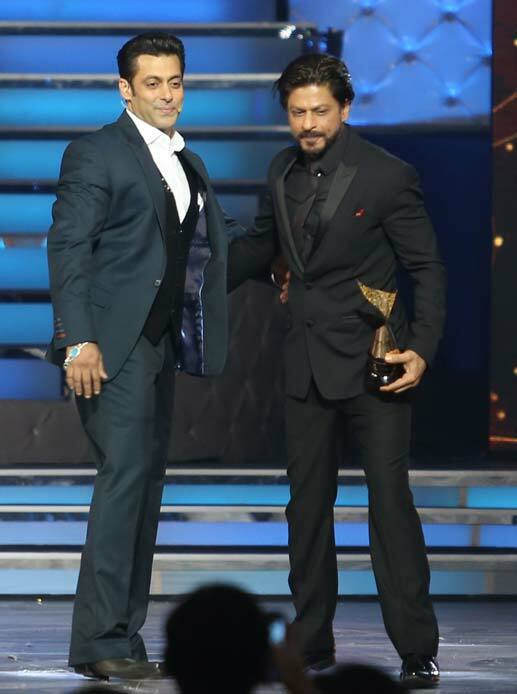 It sure seems that SRK and Salman are willing to put away the past bitterness and differences and turn on a new leaf. The fans sure will be delighted with this kind gesture from their top stars.